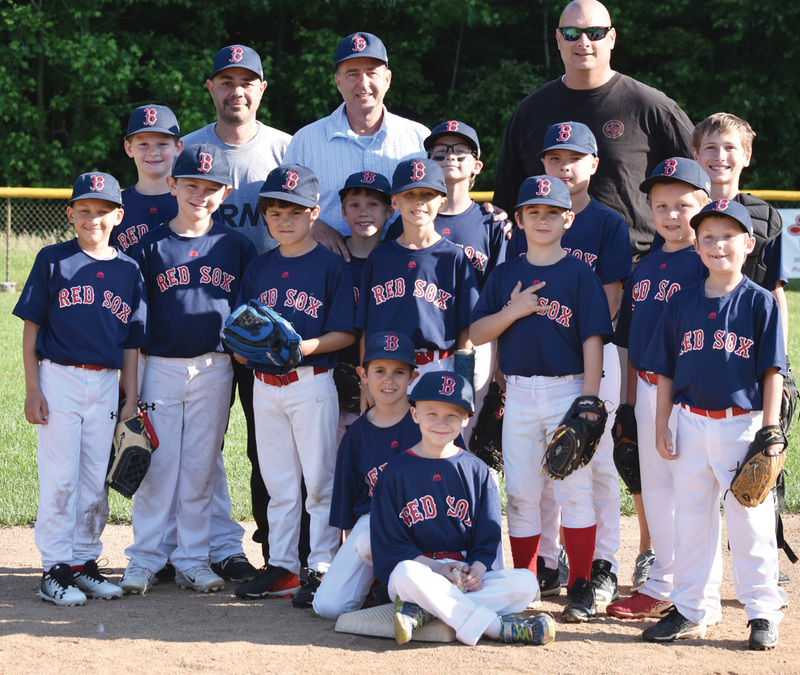 The Red Sox Little League team poses for a photo with William Reber, who is fighting cancer. Cancer is rough. Plain and simple. It doesn’t matter what type it is, and everyone knows someone who has fought the disease. Some have lost their fight, others continue to fight every day, and then there are those that have beaten it. William Reber is one of the brave souls who continue fighting each and every day for that opportunity to one day say he has beaten cancer. You see, at 8, William would like to be just like any other kid his age, riding bikes, playing sports, jumping on the trampoline… whatever makes him happy. Unfortunately, William was diagnosed with Stage 4 Burkitt lymphoma back on Nov. 19, 2017. Burkitt lymphoma is a form of non-Hodgkin’s lymphoma in which the cancer starts in the immune cells called B-cells. Recognized as the fastest-growing human tumor, Burkitt lymphoma is associated with impaired immunity and is rapidly fatal if left untreated. Back on Nov. 19, William was struggling with what was originally thought to be strep throat. His mom, Tina Schlosser, took him to Beebe Healthcare, where they gave him some antibiotics and sent him home. A couple days later, William was struggling to eat some oatmeal. Grains were getting stuck to his tonsils. After unsuccessful attempts to wash all of them down, his mom took him back to Beebe, which sent him to A.I. duPont Children’s Hospital. He was later admitted, and the medical professionals did a scan and biopsy, determining that William had a tumor in his tonsil. It was at that point diagnosed as Stage 2, but further tests and scans revealed that William had another tumor in his femur bone, just above his growth plate. The Stage 4 diagnosis was then given to his parents. Tina and her husband, Greg — who are William’s foster parents — were floored after hearing the news. One of their little boys — the couple also has another son, Elijah, as well as two daughters, Faith and Elizabeth — was considered terminally ill. In stepped Lower Sussex Little League coach Steve Shuart of the Red Sox, a team that William’s brother, Elijah, plays on. Shuart wanted to give William and his family an opportunity to forget about their fight — even if for just a couple hours. He presented to the LSLL board the idea of setting up a scenario for William to get a chance to play in the first inning of his team’s last game of the year. One at-bat … with the bases loaded! William stepped to the plate in the first inning, hit the ball, and rounded the bases with the biggest smile on his face. He made it all the way around to the plate. A grand slam! William has been undergoing treatments since December, and as with any cancer treatments, it has not been without challenges. He has his good days and bad ones. He dreads the trips north for treatment and just wishes he could be normal. Greg works out-of-state, and Tina has had to take time off from work to help with getting William to his treatments. As with any family dealing with this type of situation, the financial toll it has taken has been something for which they never could have prepared.